The flying effort is considered a critical period for racing pigeons. The increasing stress is associated with weakened immunity, higher susceptibility to diseases and the absence of their expected performance. One way how to prevent these problems is to provide them with minerals supplements based on selenium (Se). Selenium is currently perceived to be a strong antioxidant playing an irreplaceable role in the organism. Selenium forms part of the enzyme glutathione peroxidase (GPx), which participates in eliminating free radicals from the organism. This study investigated the influence of peroral supplementation of organic and inorganic forms of selenium in racing pigeons and their effect on plasma antioxidant markers before and after 350km race. The experiment included 30 racing pigeons divided into three equal groups (n=10). During 30 days before the expected race, the first group (P1) was fed with high naturally organic selenium content of 0.3mg Se/kg of diet while in the control group (C), it was 0.1mg Se/kg. The second group (P2) was fed with inorganic form of selenium at a dose of 0.3mg Se/kg of diet in the form of sodium selenite (Na2SeO3) in the same period as in group P1 and control. Blood was taken before supplementation period and after the race to measure antioxidant markers and blood parameters related to muscle metabolism. Plasma selenium concentration and GPx were significantly higher in both supplemented groups after race in comparing to control. Comparing activity of enzymes alanine aminotransferase (ALT), aspartate aminotransferase (ASP), alkaline phosphatase (ALP), creatinine kinase (CK) and lactate dehydrogenase (LDH or LD) at the beginning of the supplementation period didn‘t show any changes in all experimental groups. The increased activity of all enzymes was observed in all groups after the race. The supplementation with high content of Se in the diet can provide effective antioxidant protection and thus contribute to better performance and rapid recovery of individual birds following their flying efforts. Selenium is a trace element of importance for animal health. The antioxidative action of Se is determined mainly by its role as an essential component of the active centre of selenoenzymes.4 The glutathione peroxidase (GPx) is one of the 25 actually described selenoproteins in which Se is an essential compound in the active site as selenocystein.5 An exercise enhances the metabolism and increases oxygen demand in the locomotive muscles. Consequently, large amounts of reactive oxygen species (ROS) are produced in situ during the effort. The ROS production may exceed the capacity of the protecting scavenger enzyme system causing cellular membrane dysfunction associated with lipids, proteins and nucleic acids oxidations (Figure 1). To protect tissues from oxidative damages, glutathione (c-glutamyl, cysteinyl and glycine), a non-protein thiol source in the cell, reduces hydrogen peroxide and organic peroxides by reaction in which GPx is working as a catalyzer4,6 (Figure 1). Figure 1 ROS pathway of cellular destruction. Reactive oxygen species (ROS) (also known as Free Radicals) are chemically reactive molecules containing oxygen that are formed as product of metabolism. In most EU countries the natural Se content in plant proteins, which consists mainly of the selenoamino acids selenomethionine (SeMet) and selenocysteine (SeCys) is only 0.03-0.12mg/kg with values more commonly at the lower end of this range. Intake of such feed may result in serious Se deficiency and health problems. For this reason, feedstuffs are routinely supplemented with various Se sources at 0.2-0.3mg Se/kg of dry matter.7 The aim of this study was thus to evaluate the effects of peroral supplementation of organic and inorganic selenium sources in racing pigeons and their effect on plasma antioxidant markers before and after 350km race. Wooden birdhouse (garden-type) measuring 7.5m x 2.5m x 2m with the number of 60 pc of carrier pigeons (Columba livia dom.) divided by mesh into three main sections for pigeons and doves. Each section consisted of a pull-out box with slatted floor and also one feed-pump and a feeder. During the flight season (May to July) pigeons attended a total of 15 races divided by length from the less severe (120km) to very challenging distance of 1200km. From all housed pigeons were selected 30 pc and divided into three equal groups (n=10). During 30 days before the expected race, they were offered a mixture feed enriched of organic and inorganic selenium sources in quantity of 20g pc in the morning and in the evening. The first group (P1) was feed with high naturally organic selenium content of 0.3mg Se/kg of diet while in the control group (C), it was 0.1mg Se/kg. The difference in the Se content of diet with high naturally organic selenium content was because of the choice of ingredients which were either high or low in Se. A low Se ingredient was locally produced while another one, high in Se, was imported from Canada. The second group (P2) was feed with inorganic form of selenium (Na2SeO3) after mixing addition at a dose of 0.3mg Se/kg of diet. The formulation and the chemical composition of the two diets are given in Table 1. The groups P2 and control differed only by the Se content of the diet. In the control group, the Se content was 0.1mg of Se/kg of diet, while in the P2 group after mixing addition of inorganic selenium (Na2SeO3) it was 0.3mg of Se/kg dry matter (DM) (Table 1). Table 1 Composition of compound feed. Se* - Selenium content after mixing addition Na2SeO3 of 0.3mg /kg DM. Tukey ́s post tests were used to compare all three groups before and after race and significant effect of peroral supplementation was indicated by ANOVA. The values of Se and all monitored enzymes were processed statistically by a non-paired T-test from each group before and after race. Values in tables are means (M) and standard deviation (SD), and P<0.05 was considered as statistically significant. Metabolism of Se sources depends on the chemical form of Se in the diet, and some forms are better for some actions (Eg: cancer reduction) than other forms. Food may contain different amounts and chemical forms of Se.13 There are two major sources of Se for pigeons: organic Se, mainly in the form of SeMet, which can be found in any feed ingredient in varying concentrations and inorganic selenium, mainly selenite or selenate, which are widely used for dietary supplementation.14 The effect of organic or inorganic Se supplementation into the diets for racing pigeons on the concentration of selenium in blood plasma and enzymatic activity before and after 300 km race is presented in Table 2. All selenium supplemented groups were significantly increased the plasma Se concentration and the activity of the GPx after race in comparing with control group (Table 2). Table 2 Selenium levels and enzymatic activity before and after 300km race. P1 group-pigeons feed with high naturally organic selenium content, P2 group - feed with inorganic form of selenium after mixing addition, C group - control group feed with low Se content. a, bsignificance level p<0.01 is presented by different superscripts in a row. Schoenh et al.4 have confirmed the increased amount of hydroxide radicals during a 2-hour flight simulation of carrier pigeon. However, the authors reported a faster degradation of the hydroxide radicals and enhanced activity of GPx in the group of pigeons, which has been supplemented with the addition of 195μg Se kg feed vs. the pigeons that were fed a normal amount of a mixture of 30mg Se/kg feed. Enzymes of muscle metabolism are characterized by a very wide range of activity, the interpretation of variations of these enzymes is difficult. Nevertheless, these enzymes may be adversely affected by factors such as muscular injury, rupture of organs, nutritional status, physical activity, hemolysis, treatment, and conservation of plasma samples and their levels in blood can increase. Also, these enzymes can be an important diagnostic tool in veterinary medicine.15 Table 3 presents the activity of the investigated enzymes during the period of Se supplementation. Comparing the activity of enzymes ALT, ASP, ALT and CK at the beginning of the supplementation period were not recorded. The increased activity of all enzymes has been observed after the race in all study groups (Tables 3). Table 3 Comparison of enzymes muscle metabolism in each group before and after race. P - Significance level, % - percentage difference between the compared values before and after race. AST activity currently is considered a very sensitive but nonspecific indicator of hepatocellular disease in avian species, and is frequently used with the muscle-specific enzyme CK to differentiate between liver and muscle damage.16 In our study were significantly increased CK with AST, ALP and ALT which are good indicators of muscle damage. The higher Se plasma levels and increased activity of GPx were achieved by oral supplementation of organic and inorganic Se sources after the race in comparison with the control group, which was without the addition. The increased activity is explained by physical muscular effort and leaching of free radicals. The impact of these mineral additions of the enzyme biochemistry values of ALP, AST, ALT, CK and LDH, by their increased activity of the muscle exertion, have not been significant as a factor affecting their activity. Pigeons are birds that are characterized by a high potential of racing fly and are thus submitted to intense oxidative stress. Supplementation based on Se is not only an effective way of antioxidant defense resulting in better performance but also helps with rapid recovery of airworthy burdened individuals. Vargová V, Zigo F, Chripková M, et al. Influence of peroral supplementation of selenium and vitamin E on the antioxidant status of racing pigeons. Folia Veterinaria. 2016;60(3):24–28. Arpášová H, Mellen M, Kačániová M, et al. Effects of dietary supplementation of sodium selenite and selenized yeast on selected qualitative parameters of laying hens eggs. Slovak J Anim Sci. 2009;42(1):27–33. Ševčikova S, Skřivan M, Dlouha G, et al. The effect of selenium source on the performance and meat quality of broiler chickens. AGRIS. 2006;51(10):449–457. Schoonheere N, Dotreppe O, Pincemail J, et al. Dietary incorporation of feedstuffs naturally high in organic selenium for racing pigeons (Columba livia):effects on plasma antioxidant markers after a standardised simulation of a flying effort. J Anim Physiol Anim Nutr (Berl). 2009;93(3):325–330. Gromer S, Eubel JK, Lee BL, et al. Human selenoproteins at a glance. Cell and Mol Life Sci. 2009;62:2414–2437. Alessio HM. 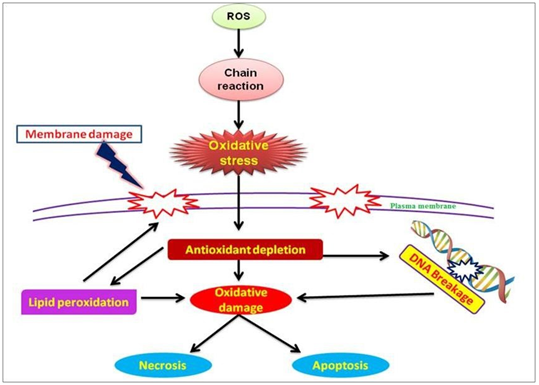 Exercise–induced oxidative stress. Med Sci Sports Exerc. 1993;25(2):218–224. Petrovič V, Kushev J, Nollet L, et al. Effect of dietary supplementation of trace elements on blood chemistry and selected immunological indices depending on the age of broiler chickens. Acta Vet Brno. 2011;80:57–64. Rodriguez EM, Sanz MT, Romero CD. Critical study of fluorometric determination of selenium in urine. Talanta. 2011;41(12):2025–2031. Paglia DE, Valentine WN. Studies on the quantitative and qualitative characterization of erythrocyte glutathione peroxidase. J Lab Clin Med. 1967;70(1):158–169. Pechová A, Pavlata L, Illek J. Blood and tissue selenium determination by hydride generation atomic absorption spectrophotometry. Acta Vet Brno. 2005;74(4):483–490. Duncan JR, Prasse KW, Mahaffey EA. Veterinary laboratory medicine, Clinical Pathology. USA: Iowa State University Press; 1994. Lyons MP, Papazyan TT, Surai PF. Selenium in food chain and animal nutrition: Lessons from nature. Asian–Aust J of Anim Sci. 2007;20(7):1135–1155. Finley JW. Increased intakes of selenium–enriched foods may benefit human health. AGRIS. 2007;87:1620–1629. Surai PF, Karadas F, Pappas AC, et al. Effect of organic selenium in quail diet on its accumulation in tissues and transfer to the progeny. Br Poult Sci. 2006;47(1):65–72. Harr KE. Clinical chemistry of companion avian species:A Review. Vet Clin Pathol. 2006;31(3):140–151. Mohammed A. Blood biochemical profile of young and adult racing pigeons (Columba livia domestica) in Egypt. Middle East J of App Sci. 2014;4(3):528–538. ©2017 Zigo et al. This is an open access article distributed under the terms of the Creative Commons Attribution License , which permits unrestricted use, distribution, and build upon your work non-commercially.